Cycle slowly through the vineyards of the majestic Chateau d’Isenbourg. Visit the the castle at Haut-Koenigsbourg. Stay at the elegant country inn, Hotel a la Cour d’Alsace in Obernai. 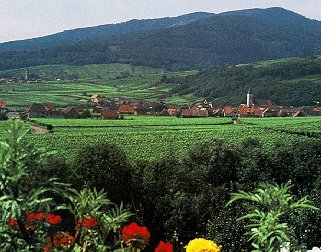 Travel picture of The Route de Vin in Alsace. I have been to Alsace a few times and love it so much that I just have to keep going back. The beaches are beautiful, the weather is lovely and the people are so friendly. Thanks for this information too.